Wishing everyone a very Happy Christmas and an exercise-full New Year! And what better way to start the New Year than by running at the 14th New Year Cracker? 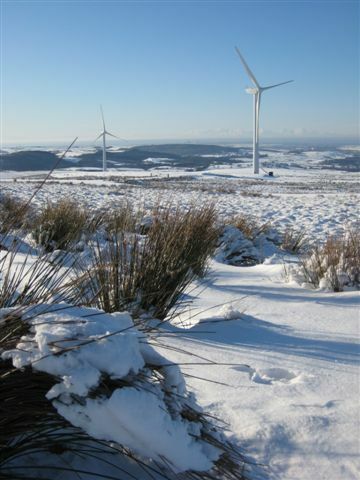 This year we return to the open fells and wooded valleys of Traitor's Gill, but without the snow of this January 2010 photo from the same area. Final Details may be viewed here. Results for Wednesday's street event are now on-line here. 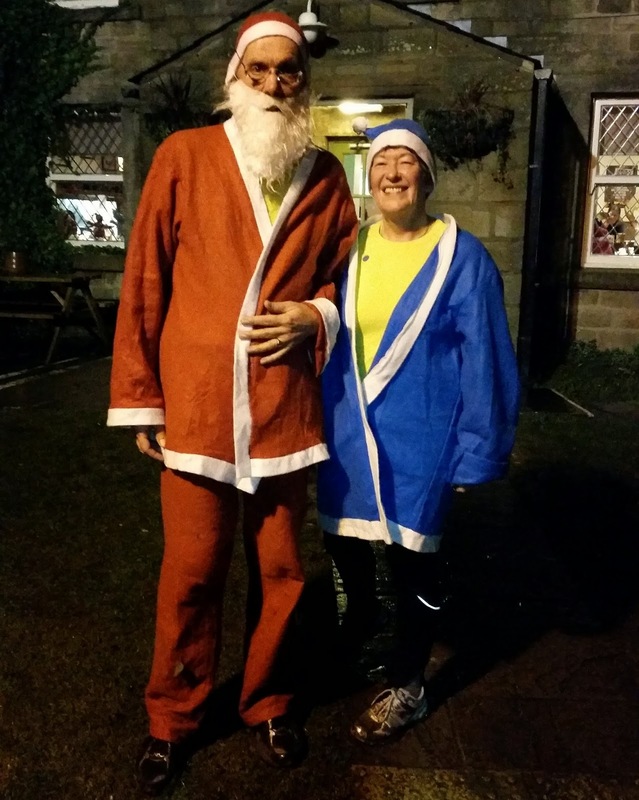 Our photo is 'Mr and Mrs Christmas' Matt and Jill Cochrane who ran as Liverpool and Everton Santas! Last night's event in Clayton le Woods was number five in the series and marks the half-way point. RouteGadget is ready to receive your routes. After the Christmas break event six is in Ormskirk, details here. Please note that food needs to be ordered in advance. Well done to team SROC at yesterday's final of the CST competition at Long Valley near Aldershot. Wins for Quentin, Becca Rooke and Helen Ockenden helped the team to second place. FVO won with Sarum in third place. A great turnout from the club for an event so far from Lancashire. Event 5, at Clayton Le Woods, is on Wednesday 17th December. The event is based at the Ley Inn Public House, Back Lane, Clayton Le Woods, Chorley PR6 7EU. A score event of either 60 or 75 minutes. Starts between 6.30 & 7.30 pm. High visibility clothing compulsory, head torch advisable, road shoes will be fine! Latest scores and league tables for the North West Night League, sponsored by Bright Bike Lights, may be viewed here. Preliminary details of the next Tim Watkins Trophy long distance event, to be held in March 2015 on Blawith & Subberthwaite, have been published here. Just a few of the past and present members who enjoyed an evening of celebration yesterday. Old friends were reunited and anecdotes abounded as SROC recalled the last 50 years. A good time was had by all and thanks must go to Peter Knott and members of the committee for organising. Results for last night's street league event. We are grateful to SELOC members for laying on a lovely clear night, new map and a great venue for this evening's event in the ever popular Night Street League. Results will appear once they have been double checked but in the mean time why not add your route to RouteGadget? Congratulations to Quentin an Zoe Harding who have been selected for England's Interland Team.